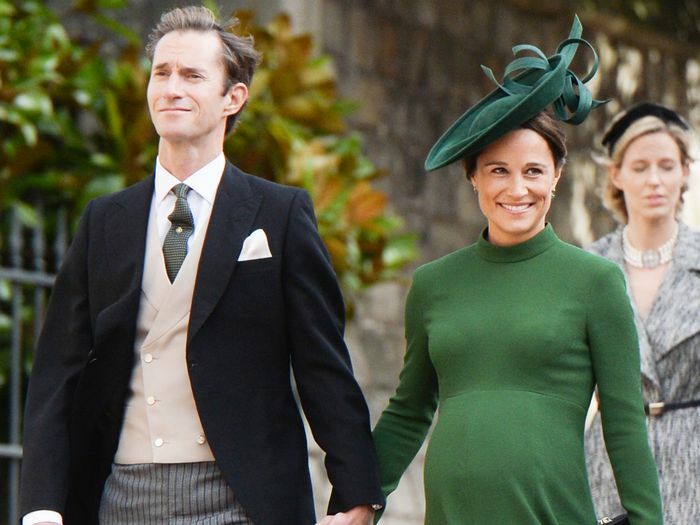 Prince George and Princess Charlotte just got a new baby cousin: Pippa Middleton has officially given birth to her first child, BBC confirms. A spokesperson revealed that she and husband James Matthews welcomed a baby boy, who was born Monday at 1:58 p.m. London time weighing 8 pounds, 9 ounces. "Everyone is delighted, and mother and baby are doing well," the spokesperson said, per BBC. No word yet on the name, but we can't wait to find out what they chose for their new son. Of course, the news comes hot on the heels of other major royal moments. For starters, Princess Eugenie got married at Windsor Castle on Friday, which Middleton attended just three days before giving birth. Then, of course, yesterday Meghan Markle and Prince Harry announced they were expecting their first child together before Markle debuted her baby bump in Australia just hours later. Keeping up With Kensington is getting hard these days, no? Scroll down to revisit Middleton's best maternity outfits.